Summary: For the 3rd year in a row, at the end of 2016, community banks saw their compliance costs rise. That may be turning around. 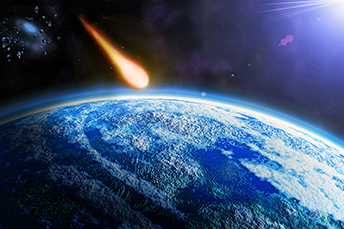 Scientists have now figured out that a comet from space that hit Earth some 12,000 years ago set fires larger than the asteroid that killed the dinosaurs and led to an Ice Age. It seems the fires were so large that the dust and smoke created by them clogged the sky and cut off sunlight that led to an Ice Age that lasted 1,000 years. That is some ice cold information. As you look for a blanket to keep warm, know that community banks too have been shivering as of late. This is because community banks continue to grapple with the costs of adhering to a heightened regulatory environment. In fact, for the 3rd year in a row, at the end of 2016 community banks saw their compliance costs rise. The good news is that it now appears it is finally beginning to go the other way. According to the most recent report, "Community Banking in the 21st Century 2017," by the Fed and the Conference of State Bank Supervisors (CSBS), there are signs that the cost increases related to compliance may have finally peaked. Even though the inferred compliance costs of community banks with assets < $10B totaled $5.4B in 2016 (up from $4.5B in 2014 and $5.0B in 2015) more than 20% of those costs were one-time. Sadly, those costs were tied to the CFPB's rule that combined mortgage disclosures previously established by the Truth-in-Lending Act (TILA) and the Real Estate Settlement Procedures Act (RESPA) into a single rule (TRID). Remember when politicians said the CFPB and its rules would only impact banks above $10B? When it comes to the regulations that proved costliest in 2016, community banks indicated that 22% of their compliance costs were directly tied to the Bank Secrecy Act (BSA) and its requirements to report any cash transactions in excess of $10k, as well as any possible money laundering or fraud. Because of the high volume of such transactions, community banks say they need to hire extra personnel, in addition to the costs associated with conducting independent reviews of their BSA compliance efforts. Although BSA/AML regulatory requirements are expected to stay stringent, hope springs eternal. The next costliest regulatory requirement for community banks according to the report was TRID, representing 21% of total compliance costs. It was followed by deposit account compliance (at 12%), qualified mortgage rules (8%) and then other regulations in order of cost such as financial reporting requirements, CRA and Ability to Repay Rules rounding out the top 7 compliance costs. Though TRID was actually intended to ease bankers' efforts related to mortgage forms, in reality community banks found that its implementation in 2015 significantly increased their regulatory burden. Bankers had to pay for system upgrades, updates and train their employees and all of those came at a cost. Community banks also indicated that the implementation of TRID created the need for significant changes to their management processes in order to handle increased operational risks and compliance risks. Although it has been challenging for community banks to compete while shouldering seemingly ever higher regulatory costs, 2018 appears hopeful. As the effects of some of the anticipated regulatory easing are felt, community bankers will not only be hopeful, but will also gain the opportunity to compete more effectively in the ever-changing financial landscape. Bankers we talk to all hope the massive regulatory cost iceberg is finally beginning to melt. Equifax has given documents to Congress that indicate its massive hack from last year included tax identification data, email addresses and detailed driver's license information (along with SSNs, dates of birth and addresses). About 145mm consumers were compromised in the attack. Fintech company Social Finance Inc. (SoFi) reported worse than expected earnings in Q4, as its customers missed loan payments at a higher rate than expected and hiring costs increased. The company said it expected the trend of weaker loan performance to continue this year, as it worked to upgrade fraud prevention tools, further automate loan processing and improve its collections. A Northwestern Mutual survey finds that despite the fact that 75% of people are grappling with debt, about 40% of income is still spent on non-essential expenses (travel, entertainment, eating out and hobbies). ABA research finds consumers say they trust the following the most to safeguard their information: banks (59%), don't know (23%), alternative payment providers like Apple, PayPal, etc. (12%), major retailers like Macy's or Walmart (4%) and telecom companies like Verizon or Sprint (2%). Cerulli Associates projects the digital advice market, also known as robo-advice, likely hit $220B at the end of last year and will jump to $600B by the end of 2022.